I first saw FORMAS, one of the best representatives of the NuJazz movement in Cuba, in the Iris Jazz Club in Santiago de Cuba in 2015, and I had been eagerly awaiting its debut album ever since. Like its Acid Jazz cousin in other countries, NuJazz incorporates elements of Funk and Hip Hop into the music, but NuJazz in Cuba is different in the sense that it also incorporates Cuban (especially Afrocuban) traditional music, and the elements of actual Jazz are more advanced in the Cuban genre. The Lescay family is also distinguished in the plastic arts, and part of the intention of the music of FORMAS is to create soundscapes in addition to presenting songs. All of that is reflected in the excellent art and design that can be found in the physical CD product and booklet. Like GESI, one of Cuba's emblematic experimental groups of the 1970s, FORMAS is a collective formed by some of the most distinguished young musicians in Cuba and incorporates several of the best elements of the musical world around it - Controversia and Voces Tristes are a great examples of what is happening in the best of the NuJazz movement, with brass, Electronica, Afrocuban percussion and Hip Hop all interacting. In both compositions, the whole is greater than the sum of its parts. Invasión mixes Electronica with the street rhythms of Santiago. Mariposa de primavera evokes Trova; Escape hacia la luz, Jugando and MDB are worthy of the most advanced Jazz/Fusion works of GESI and Estado de Animo. 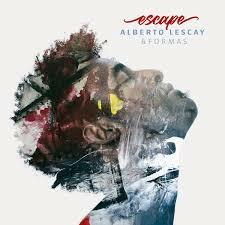 For those who are pessimistic about the future of music in Cuba, Escape is an instant cure. It remembers its traditional Cuban core while also incorporating the best of the new. Escape is available in several places in digital format: Amazon.com, iTunes, Google Play Music, Spotify and Deezer. A physical disc with art and notes was presented at the presentation concert at the Museo de Bellas Artes and will also be forthcoming in the future.